We use the phrases "take something for granted" and "take something as read" to express that we think that something is true without questioning it. Is he your brother? I took it for granted that he was your boyfriend. I took it as read that she would come to the wedding dressed appropriately , but she turned up in full goth makeup. In the picture below, you will find some more examples that will help you to better understand how to use these two phrases. To download and save this picture : right-click on the image and choose Save Image As or Save Picture As. 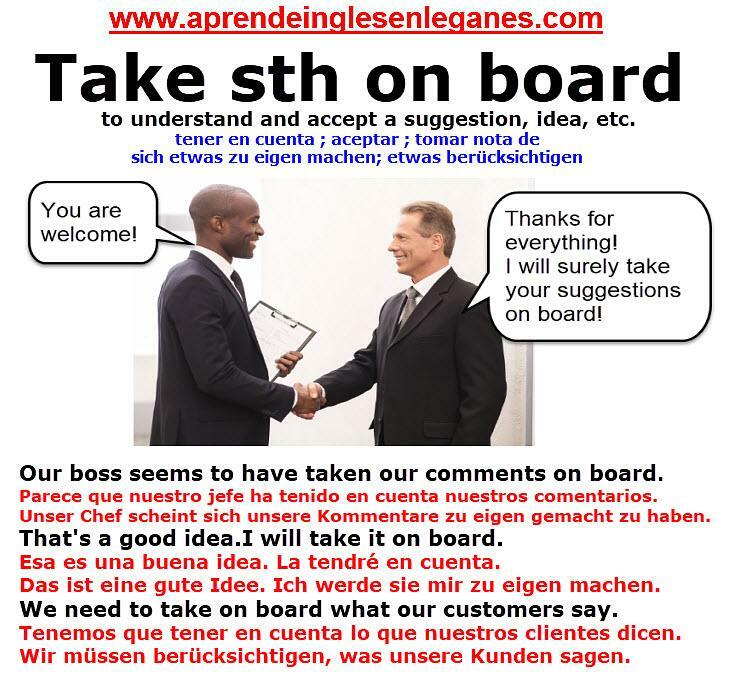 We use the phrase "take something on board" to express that we understand and accept a suggestion, idea, etc. He seems to have taken my advice on board. 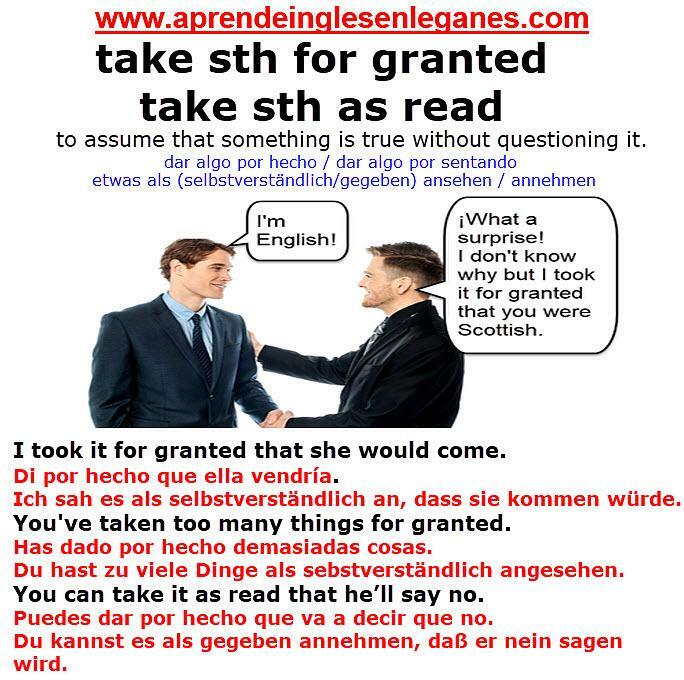 In the picture below, you will find some more examples that will help you to better understand how to use this phrase.